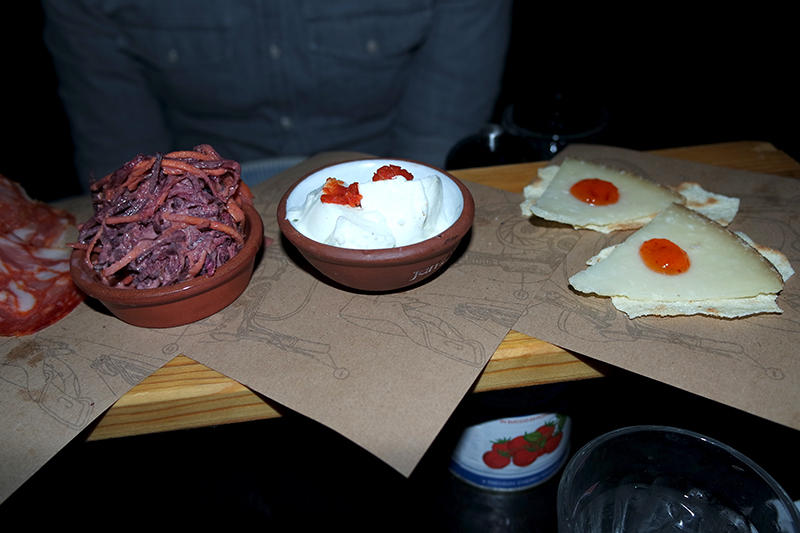 I was recently invited down to the Jamie's Italian, Manchester branch to try out their latest Autumn/Winter menu*. As a huge fan of Italian food and having yet to try out one of the Jamie Oliver franchises - I jumped at the chance. 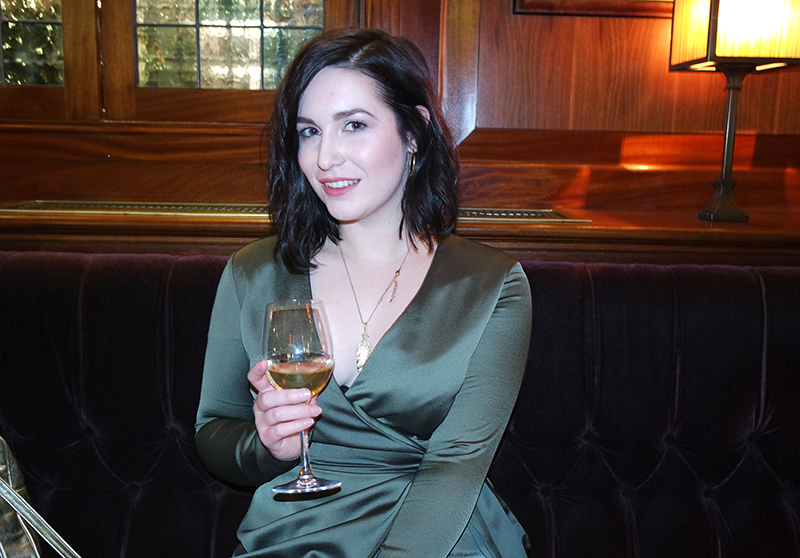 Ideally located, we popped into nearby All Bar One for a quick glass of wine before our booking; it was the perfect crisp and freezing cold winter evening and I was more than ready for a warm, comforting pasta dish. Despite Jamie's Italian having proudly sat here apparently for several years it was incredibly busy, even for a pre-Christmas Saturday. We weren't able to sit down right away (despite being on time for our booking) though we enjoyed the atmospheric bar area with its grand high ceilings and rustic charm. We were soon taken from our bar table to the dining area and were given a decadent velvet upholstered half booth area near the kitchen. With low level lighting, the dining area has a real cosy yet grandiose feel. No sooner had we been given our menus, I accidentally flung my glass of wine all over Chris and the poor chap who was half of the couple next to us (who were lovely - he took it really well!). The waiter insisted that I told him what I was drinking, despite me insisting that it was completely my fault, and promptly brought both of us a top up free of charge which was a really nice gesture. 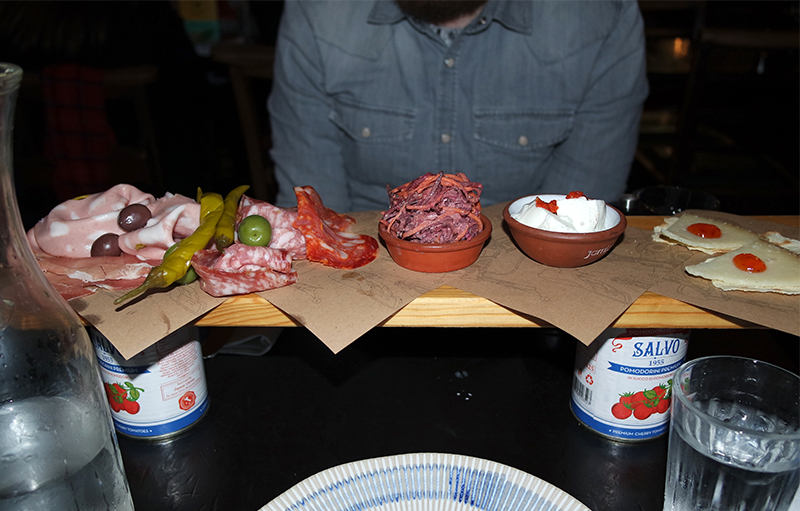 We love traditional antipasti so opted for one of the 'famous planks' of the meat variety; a generous board made up of cured Italian meats, buffalo mozzarella, pecorino, olives and more. Shortly before this arrived, we were presented with two cans of tinned tomoatoes. These appeared while I was away from the table and apparently came without explanation. Ourselves and our now acquainted table neighbours mused over what an earth these could be for some time before all became clear and the starter arrived! The plank was certainly plentiful and appetising enough to make pausing for photos before digging in quite the task! 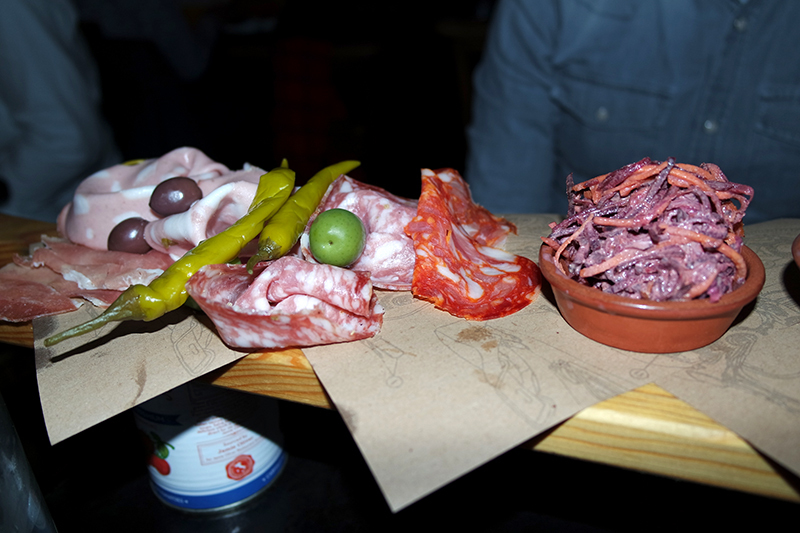 The meats in particular were of really good quality and very enjoyable, especially the fennel salami and schiacciata piccante. The chilli jam with thinly sliced wedges of pecorina was really tasty too! I struggled to choose a main as there were loads of dishes I could happily have picked; closest contender being a squid ink pasta which was one of the specials of the day. 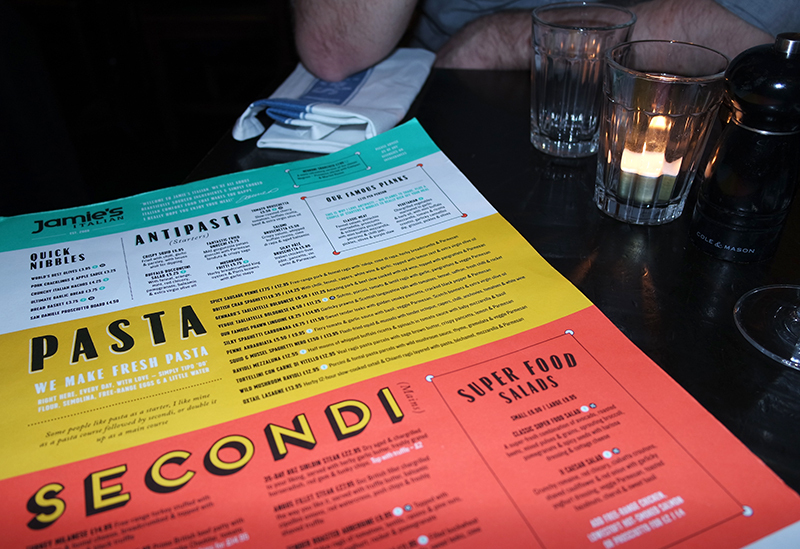 Having read that all the pasta was made freshly on site, we both chose from that section of the menu - even though the grill and pizza menus sounded equally as tempting! 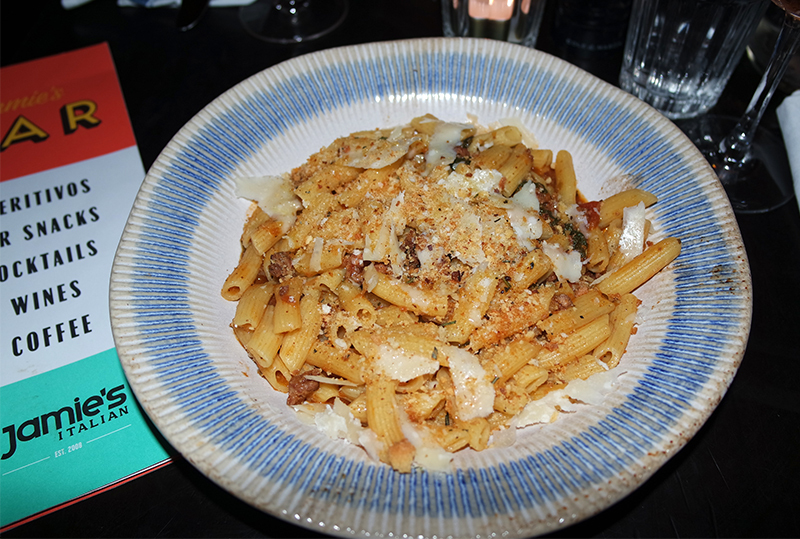 I chose the humbly titled Spicy Sausage Penne, a pasta dish in a pork and fennel ragu with ‘nduja sausage, breadcrumbs and parmesan. I was left a little underwhelmed by this one. I was hoping that the pasta would be drenched in a rich ragu sauce but it was much lighter than I expected. I was also hoping for a bit more spice given the dish's name but though favoursome, I didn't really get any heat at all. It was a big portion though and certainly filled me up! Chris played it safe with the Lasagne but oh my god, this was incredible - serious food envy was experienced! 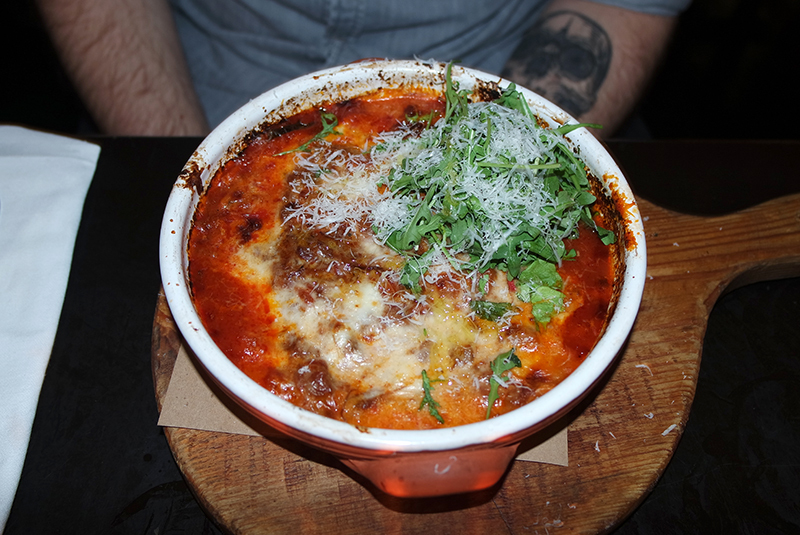 The ragu in this dish was really really rich and tasty, made with 12 hour slow-cooked Oxtail and Chianti. It was heavenly and one of the best lasagnes I've tried - I need to go back for the whole portion! Already very full but unable to resist a glance at the dessert menu, we decided we couldn't pass one up. I had to to go for the completely indulgent Molten Chocolate Praline pudding - a melt in the middle warm chocolate sponge, served with ice cream and praline pieces. There's little that could turn me off a dessert like this and while it wasn't the best molten chocolate pudding I've had, it was beautifully rich and chocolately and the praline flavour of the sauce made this a little bit more interesting. Chris chose the Tiramisu Pavlova, an Italian twist on a British classic which probably best sums up the concept of the resataurant. 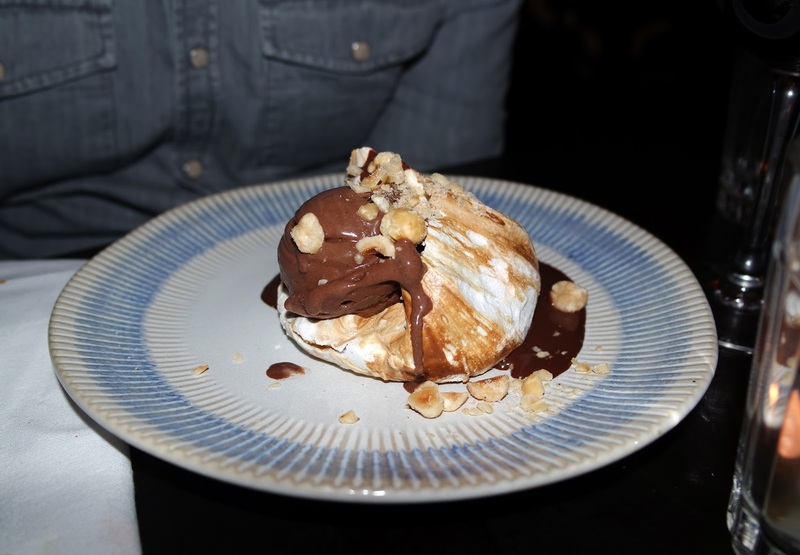 The spot on meringue was rippled with a subtle coffee favour and topped with chocolate ice cream, hazelnuts and chocolate sauce. Delicious! 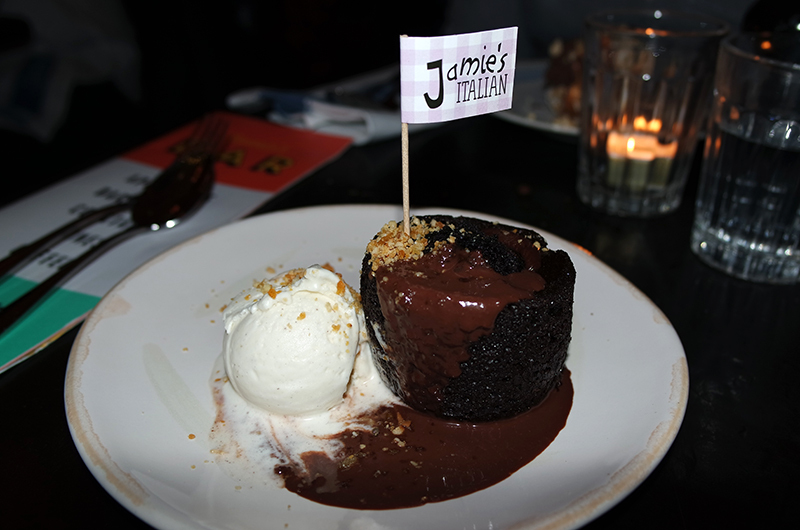 All in all, we thoroughly enjoyed our visit to Jamie's. It's clear that a lot of thought has gone into the look and feel of the restaurant, as well as the dishes - which I would describe as rustic, fresh, flavoursome contemporary Italian comfort food. The best part? The service. Despite how busy the restaurant was, our waiter was so attentive and friendly and couldn't do enough for us (he didn't know I was reviewing the meal either!). 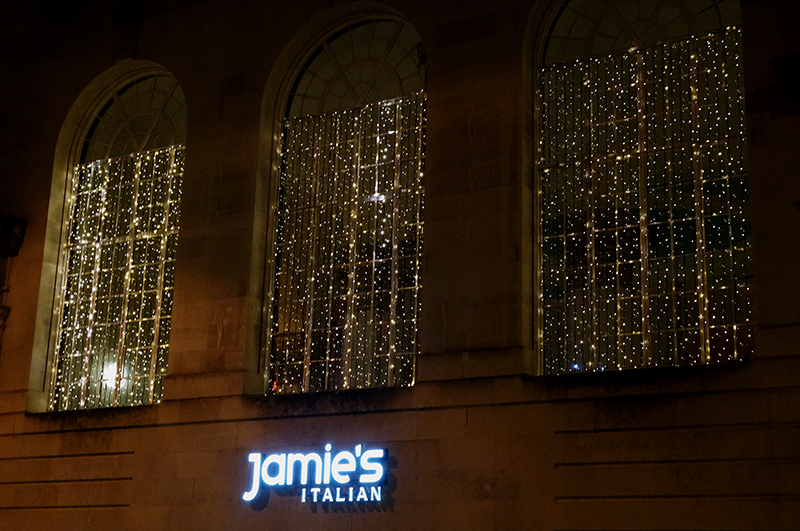 I would definitely recommend Jamie's Italian for dependable, hearty Italian fare served in a beautiful classic yet contemporary setting. Have you visited a Jamie's brand before? We had a hit and miss time at Jamie's too when we visited last year. Some of it was great, but like you the dessert was a bit lack lustre. For a chain they do an alright job, better than others and it wouldn't make me not go again. The lasagne looks lush so I'd have to go and try that!